At Courtesy Mobile Computer Repair, we specialize in virus removal. We are highly trained on providing proactive solutions to effectively get to the root cause of the virus. 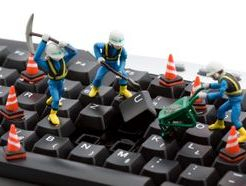 Once the root cause is found we perform a virus removal to get it off of the computer. Our virus removal techniques are very effective as we perform several scans to find the actual virus and we manually remove the infections off of your computer. Are you looking for the most convenient and best computer repair in town? If so, Courtesy Mobile Computer Repair in Jacksonville is the answer to all of your computer repair needs. We can diagnose your computer and provide you with detailed answers on the cause of the issue. We can then determine exactly what is needed to correct the issue and make sure that it is the most cost effective solution. Is your computer screen flickering or not coming on at all? This is an indicator that it may be time to replace the the lcd screen. There are several components that power up the screen. 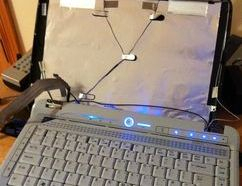 Some laptops have an invertor board that powers on the light to see the screen and newer laptops have led diodes that light up the screen. We check these components before performing a computer screen removal just in case it can save you money. Need software installed on your computer but you're not sure on how to install it. Feel free to reach to Courtesy Mobile Computer Repair and we can get it done for you. We can install programs on any computer from a Mac, Windows, or Linux based computer. When we perform the software installation onto your computer, we are sure to make sure no bloatware is being installed on top of the installation. We at Courtesy Mobile Computer Repair can setup your network rather it is wired or wireless to get you up and running to surf the web, share a printer, or share files from a computer. We also can set up your own personal cloud within your home or office to have access to your important files away. We can add extra security to secure your network to prevent hacking attempts and optimize your networks performance. Have you noticed that your computer is running slow? This can be caused by unnecessary programs that are running on the computer without you knowing. This can be related to bloatware or malicious software on the computer. Courtesy Mobile Computer Repair in Jacksonville will remove all of the unnecessary programs that are not needed, cleanup disk space, and clean your registry as this can cause issues later. The computer will run a faster and more efficient when we are done. Courtesy Mobile Computer Repair in Jacksonville believes in assisting your with keeping your computer running like it should, we will provide you with free programs to assist with performing a basic tuneup and security. Are you experiencing issues with your laptop failing to power on or for it to charge the battery properly? Have you noticed that it seems to charge intermittently sometimes or you may even have to plug the adapter in a certain position to get a charge? Does your power adapter seem loose when it is plugged into the computer? If you answer is yes to any of these questions, it is very possible that you may need your DC Jack replaced. We specialize on dc jack repair and dc jack replacement to make your computer as good as new. © 2016 Courtesy Mobile Computer Repair. All Rights Reserved.